It has been a while since I have posted. I am a few weeks behind, so, I will do I can to gain some ground today. 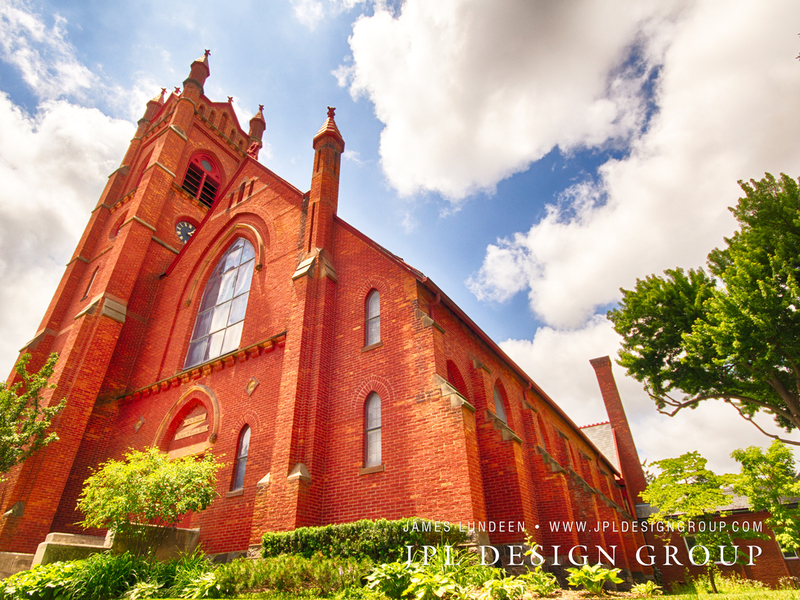 About a month ago, I was heading through Romeo, Michigan and decided to photograph two landmarks in that town, Romeo United Methodist Church and First Congregational Church. These two old brick buildings were landmarks that told me that I was getting close to my grandma and grandpa Lundeen's house in Almont, MI. On a busy street corner--what was he doing here? But it was late and beginning to rain. If you can get me to the cross, I can find my way home. The song paralleled with the idea that if you showed me these old churches, I could find my grandparents. Grandma and Grandpa Lundeen were huge testimonies and monuments that pointed to Christ in my life.